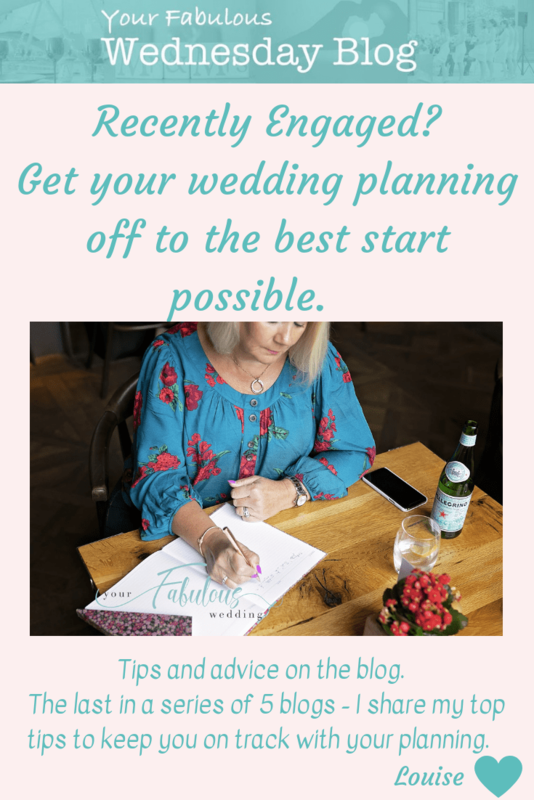 Well, this is the last blog in this series for newly engaged couples (or anyone else starting to plan their wedding.) In this last episode, I’ll share some of my tips and planning tools to help keep you on track. If you missed the previous blogs, you can find them all here. 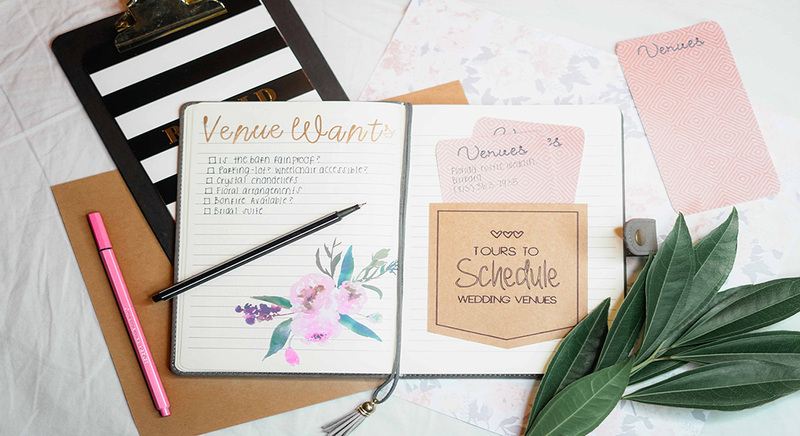 To manage your wedding planning, you need to have a system. I would recommend that you start with a ‘To Do’ list and include everything you can think of at this stage that you need to do. You can add to this list as you progress with your planning and it’s a lovely feeling when you can cross things off that are complete. I would also create a list of the suppliers you have booked. Include their contact details, what you have booked with them, how much deposit you have paid & when, when the balance is due and any outstanding info you need to provide to them. I talked in Blog 3 about creating and managing your budget so if you haven’t done this yet please do this before you get any further. You can go back to this blog here. Somewhere to keep all this? Call me old fashioned but I’m a sucker for a nice notebook. 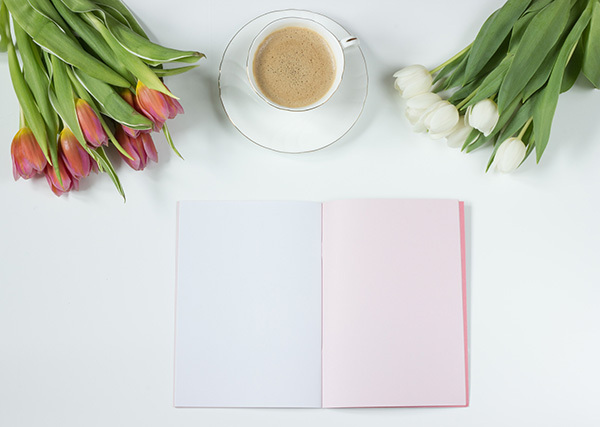 Obviously you can keep notes in here of things you need to do, details of your suppliers as well as capturing thoughts and ideas. It enables you to have everything in one place and is very portable. No wifi needed to update it on the move! It may be most famous for its search engine, but Google also has a suite of FREE online applications to help you with your wedding planning. Because they are online, and there’s no software to download, you can use them on your home laptop or mobile devices. So, reception and data allowance permitting, you will always have this with you. Google Sheets is a spreadsheet package (like Excel) with all the tools you should need. Have a look at the templates – there’s a wedding planning one which even has a seating chart. If you need something more like a notebook, then try Google Docs. You need a Gmail account to use them, but they are free as well and easy to set up. You could create a new email address just for wedding email to keep everything in one place. Or you could try apps like Trello which help you plan everything you need to do. Trello lets you create various lists in a very visual format. You can share them too so your partner can also access the lists to see what needs doing when. Prezola is a great choice for your Gift List. It’s an online service that lets you choose items from multiple stores so you’re not tied to one place. There’s loads of choice and it’s really simple to create a list. 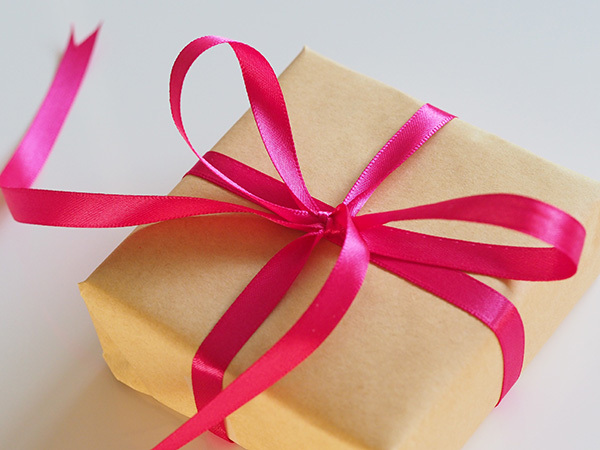 Your guests can then easily choose the perfect gift from your pre selected list and they can purchase online or by phone. It means it’s one thing you don’t need to worry about. Have a quick look at this video to see how easy it is and how wide the choices are. And even better, if you use the link above or use this code – PZALHGKXFJH – when you sign up you’ll get an extra £50 to spend when your guest spend reaches £200. Sounds like a great deal to me! I talked more about these helpful apps in Blog One which you can refer back to here. But here’s a quick reminder and summary for you. Great for searching for different types of suppliers, like florists & venue stylists. This enables you to see their style of work and will help you to shape your ideas. Once you’ve chosen your wedding venue, it’s also good to search for the venue on Instagram as suppliers who have worked there will tag the venue in their posts. This helps to find suppliers who know the venue and gives you ideas of how it can look when it’s dressed for a wedding. And don’t forget about Pinterest. Another great free tool for gathering ideas and to create digital mood boards. You’ll probably see themes appearing in your boards after a while, things like predominant colours, styles and flowers. This can really help you to shape your ideas and it’s a great way later on to show your suppliers what you have in mind. In my view, Pinterest is the best option for mood boards as you can keep going back to them and it’s easy to share with other people too. I’m building up a number of inspiration boards on Pinterest which you might find helpful – you can see them here. Most wedding suppliers are on Pinterest so you can also follow them to see more examples of their work. I really hope you’ve found this series helpful and that you’re now well on your way to planning your fabulous wedding. You can still sign up to the blog below to ensure you receive future blogs and news about all things Fabulous. And remember, if it all gets too much or you realise you just don’t have the time to do everything yourselves – then get in touch. I have plenty of support options available and it’s never too late to seek some help. You can see more details about the various services here.